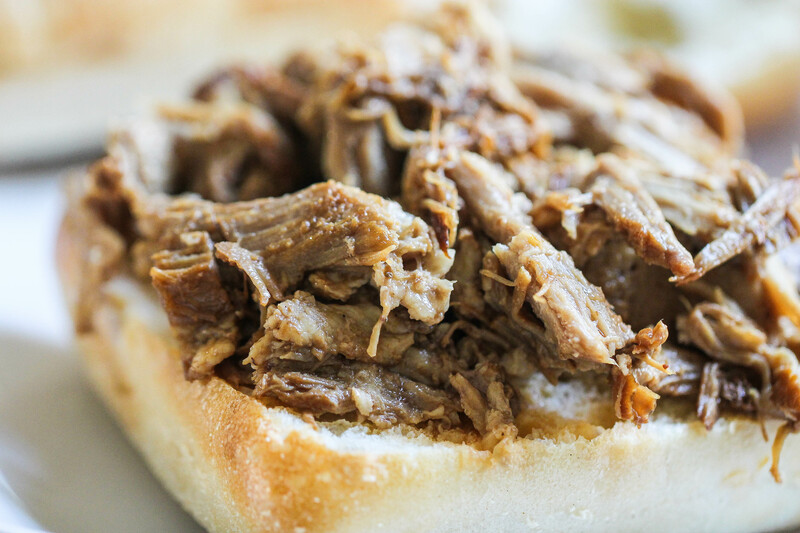 If you’re an Instant Pot pro or just joining the craze, our Instant Pot Dr. Pepper Pulled Pork needs to be on your meal rotation. With only a handful of ingredients, this Instant Pot Dr. Pepper Pulled Pork is sweet, delicious, and makes an amazing dinner! This is one of our tried and true slow cooker recipes—now adapted for the Instant Pot! If you’re looking for the Slow Cooker Dr. Pepper Pulled Pork, you can find it here. Start by rubbing your pork roast with your desired amount of seasonings and place roast in Instant Pot. You could even sear it using the Sauté button if desired. We love keeping things simple, though. We’ve just thrown the roast in with the seasoning and it tastes great! Next, pour the Dr. Pepper and BBQ sauce in the pot with the roast. Place the lid on the Instant Pot and lock it into place. Set the knob to sealing, not venting. Push the Manual button and set it for 60 minutes. When it is done cooking, you can do a natural or quick release. Then, shred the roast with two forks (it should fall apart easily) and serve on top of hamburger buns. For a healthier option, we think it’s delicious on top of a simple salad. Need Extra sauce with your pulled pork? After shredding, we like to keep the meat in the extra liquid. We use a slotted spoon to serve. You can also add more BBQ sauce if desired. This will make a thicker sauce. What if I don’t have Dr. Pepper? If you don’t have a can of Dr. Pepper on hand, no worries! You can exchange the Dr. Pepper in this recipe with Coke or Root Beer. You could even try Cherry Coke? The soda tenderizes the meat while adding flavor. Adding the soda helps make a tasty meat that falls apart and stays moist. The soda also serves as the liquid you need for your Instant Pot to come to pressure. Don’t worry about needing to add any extra water. When should I make Pulled Pork? Quick and easy family dinner—dads and kids alike will rave about this flavorful pulled pork. Feeding a crowd—have a houseful of hungry teens or having your neighbors over for dinner? 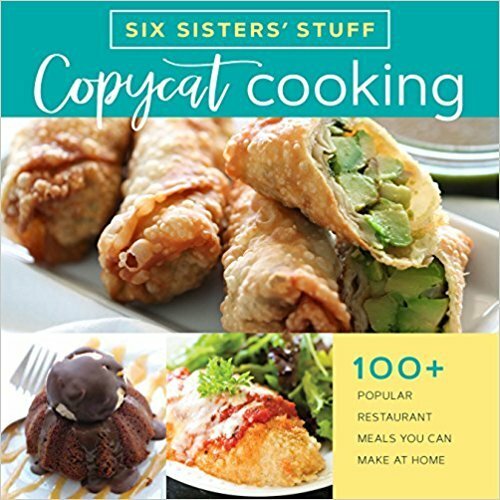 This recipe is just right! Tasty meal after a long day—many of our readers work full time and just need something they can make without much effort. This is perfect for such an occasion and the meat freezes well in Ziploc bags. Check out our Youtube Channel. 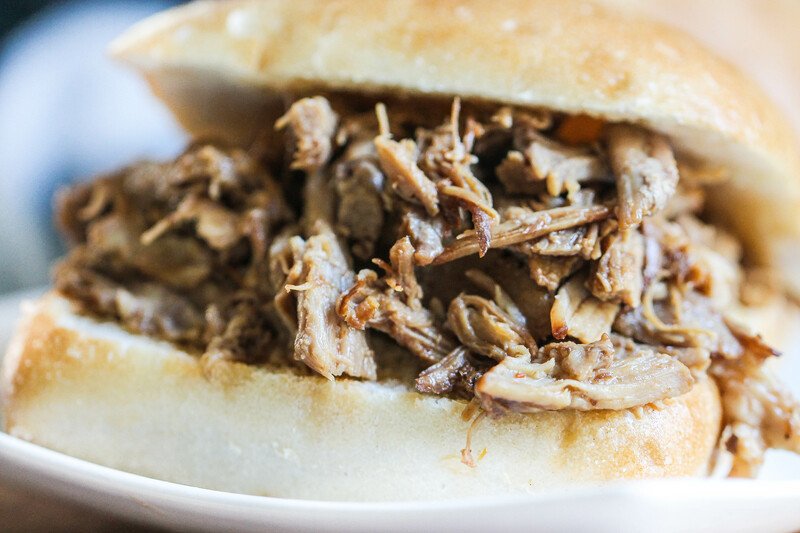 We will show you how to make this Instant Pot Dr. Pepper Pulled Pork. We take you through each recipe, step by step, and show you exactly how to make it. 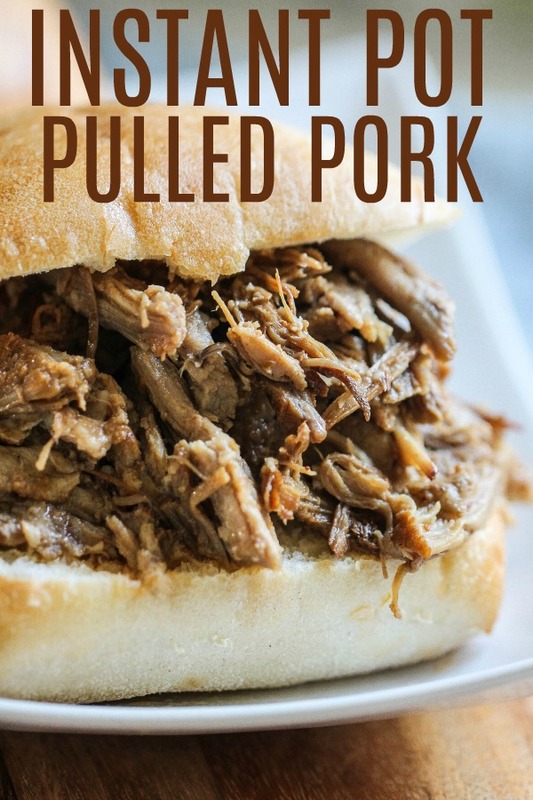 Watch how to make this delicious Instant Pot Dr. Pepper Pulled Pork, here. Rub pork roast with various seasonings and place roast in Instant Pot. Pour Dr. Pepper and BBQ sauce on top of roast. Place lid on the Instant Pot and lock in place. Set the knob to sealing, not venting. Push the Manual button and set for 60 minutes. If your roast is bigger, cook it for longer. For example if you have a 5 pound roast, you will need to cook it for 90 minutes.